Jerome Bouchaud, who translated Lovers and Strangers Revisited, now Trois autres Malaisie, interviewed me for Lettres-de-Malaisie. Here is the English version. First, about your writing habits: Long-hand or computer? What is your daily writing routine? I started out writing the first draft of my fiction in long hand, including most of the stories in Lovers and Strangers Revisited and several novels. Now I use a computer—it’s easier to work with, cleaner, faster, too. In looking back, some of my best stories began in long hand. There’s a special connec­tion that you make with the page. Working with a computer the writing is faster but not necessarily better. It’s also rife with distractions a click away. Perhaps for my next novel, I should seriously look at writing the first draft in long hand. Many writers swear by it. I like to write first thing in the morning, after my children go to school, before I get distracted with email requests or attention grabbing headlines—the writer’s worst enemy; it steals your time and kills your momentum. If I get my work locked in early, my whole day goes smoother. If not, it’s all catch-up and I kick myself for not sticking to my plans and letting my limited writing time get away. While backpacking through Europe after college, I met several people writing books and that fascinated me. Then I met a writer copying his manuscript about India, and thought, perhaps, I could write about my own travelling experiences. Later, I married a lady from Malaysia and while travelling there to meet her family, I knew I had to write this story, which became “Mat Salleh” from Lovers and Strangers Revisited, my first published short story. Lovers & Strangers was first released in 1993 (Heinemann), then revised a first and a second time, to be re-published in 2008 with the title Lovers & Strangers Revisited (MPH). What changes did you bring to your stories? Why did you feel the need to revisit them? It was a humbling process, since all of the stories except one had been published; several, several times. But I had grown as a writer, thanks to all the writing I had done, all the teaching as a creative writing instructor, and all the line editing of my students’ works (and exchanging stories with other writers). Some stories doubled in length, having whole new endings added on or back-story added in. Mostly the writing style, the descriptions and the details became more precise, more vivid. The challenge was to make these stories resonate with readers around the world. So far the 17 stories have been published 81 times in 12 countries (18 countries when I include the French translation). The MPH version won the 2009 Popular-Star Reader’s Choice Award, validating my efforts, as did the French translation. On your blog, you write about the story behind each story of Lovers & Strangers. Does it help you reflect on the challenges writers need to overcome when putting together a story? Sometimes we forget that our published story may have been rewritten numerous times, and that our first draft barely resembles the finished product, so it‘s easy to become frustrated with poor uninspiring writing. When I began the Story Behind the Story blog series, I compared the first published versions of my stories to the Heinemann Asia (1993) version and then the Lovers and Strangers Revisited version. It was the same “story” but the contrast was quite stark. The writing and the story itself had under­gone a major transformation, so I began to document the significant changes that led to publication, first locally in Malaysia/Singapore and then overseas in the US or Europe. I thought other writers could learn about the writing process by comparing each story to the story behind the story. The blogs are now being taught in universities and private colleges alongside the stories as a teaching aid and for the student’s benefit. Your stories have been praised by Malaysians themselves for truly reflecting the Malaysian way of life. Some are told from a foreigner’s point of view, some others through the voice of a local. Was it difficult to achieve authenticity when speaking as a young Indian girl, an old Chinese man or a blind Malay lady? How did you go about it? Is there a lot of research involved, or mostly personal experience and imagination? Being married into a Malay family, when I first moved here, gave me a unique perspective, especially on kampong life. Most of the Malay characters were based on my relatives, including my late mother-in-law. She didn’t speak English, so I had to imagine myself being her and get inside her head based on my observations, talking with my ex-wife, and doing some research. Also my Chinese and Indian friends and neighbors served as models as to how my characters should act, talk, think. It’s important as a writer to be really observant when writing about others. You can’t make assumptions based on your own culture—that will quickly get you into trouble! Basically, you got to ask a lot of questions and follow it up with some research. How would you describe the writing scene in Malaysia? As a writing facilitator, do you sometimes come across truly talented youths? Do you see potential in the new generation? In KL, all kinds of readings, book launches, and workshops take place on a weekly or monthly basis. Penang has some, too. Plus there are plenty of local writers and expat writers who come and go. I used to exchange novels with two expat novelists, one of whom had her novel published in the US this year. Being around other writers who are doing what you’re doing is extremely helpful and encouraging. The talent is here, but not necessarily the discipline; too many young writers seem to hate rewriting, not appreciating that this is a necessary step to improve the story, especially when writing fiction. They seem to feel that’s the editor’s job after it gets accepted for publication. They’ll do two or three drafts, enter it into a contest and then move onto the next story. When I tell new writers that some of my published stories have been rewritten about twenty times, they look at me with horror! Writers who have studied writing overseas get it. They see the potential and that it’s going to involve a lot of work. They are willing to work with and even hire editors so they can improve their writing ability. Do you read any of the local writers? Which one(s) would you recommend? When I first moved here, I met writers like KS Maniam, Lee Kok Liang, Kee Thuan Chye and Rehman Rashid, and read their work, which I strongly recommend. 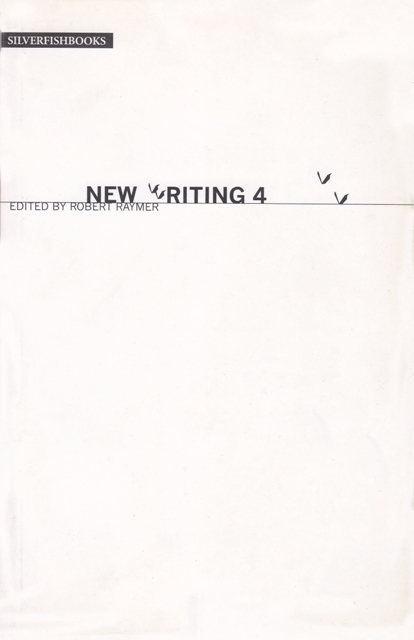 I have also met and worked with many upcoming writers when I was the Editor for Silverfish New Writing 4, a judge for some short story competitions, and through my workshops. Now I see a trend of writers rushing their work into print both here and in Singapore, especially fiction, without having any of their stories previously published. Sudden­ly they’re having book launches and being paraded around as published authors, some still in their teens! But where is the quality of their work; okay, it might be acceptable on a local level in a small publication, but on a national or international level? I attended a book launch of one young writer who had received heaps of praise from the press and good reviews, too, but then it was discovered that she had plagiarized at least one of the stories from Chicken Soup for the Teenage Soul! She was coy about doing it! For me, all of her stories are now (and forever) suspect. Ideally, writers should have a publishing track record or are winning contests before they publish a collection of short stories like Shih-Li Kow’s Ripples and Other Stories, which was short-listed for the 2009 Frank O’Connor International Short Story Award. For novels, it’s different, and Malaysia is producing some fine writers that are making an international splash, such as Tash Aw, Tan Twan Eng, and Preeta Samarasan. Tan Twan Eng’s The Garden of Evening Mists being shortlisted for the 2012 Man Booker Prize (with a chance to win) speaks volumes. These three, by the way, live abroad as expats. Their own expectations as writers are much higher and Malaysia is richer for it. Can you tell us more about your ongoing projects? I’ve spend most of 2012 rewriting two Penang novels, both finalist in the 2012Faulkner-Wisdom Award, A Perfect Day for an Expat Exit, for novel, and The Girl in the Bathtub, for novel-in-progress. This gives me hope. Both novels are part of a series; I have plans for novels set in Sarawak, Singapore and Thailand. I had a chance to publish the first one in Singapore many years ago, but novels published locally rarely get out of this region, so I backed out. I’m glad since the novel has evolved. I also have a third novel, set in the US that was a short-list finalist for the 2012 Faulkner-Wisdom Award for the second year in a row (also a Quarterfinalist in 2012 Amazon Breakthrough Novel Award). A fourth novel was a short-list finalist in 2009 Faulkner-Wisdom. I am considering the e-book option to see if I can develop a track record that will interest a mainstream publisher. The rules to publishing is in a huge state of flux; creating new opportunities for writers. I’m excited that “Home for Hari Raya” from Lovers and Strangers Revisited is being filmed by Ohio University by Frederick Lewis, professor of film/video, who will lead a team of 13 students to Malaysia in December 2012. I find it fascinating that a short story I wrote twenty years ago about three Malay sisters has attracted a film maker in the US. It’s not Hollywood calling, but it’s definitely a step in the right direction. The story that initially grabbed his attention was “Mat Salleh.” Maybe it’s time for me to dig out my screenplays and see what I can do with them. You just never know unless you try. 20 over years have passed since you first settled down in Malaysia. Do you feel like you finally belong here after so long? As an expat who has spend half of his life in Malaysia, I’m not so sure where I belong, especially after recently spending five weeks in the US following the death of my father. I felt pretty comfortable there; there’s a lot that I miss, like people going out of their way to be polite and helpful. Cars actually waited for you to cross the street or back out of a parking spot. But then I don’t miss winter. A piece of advice for aspiring writers? Believe in your story and never compare your writing with others. Every writer began full of doubts about their abilities, yet they stuck with their story and completed it. That’s the key, complete your work. Then keep going over it to make it better. The writing is in the rewriting, so finish the first draft! Later, when you’re done the best you can, get some perspective on your writing by working with an editor with lots of writing experience. This is what I did at two critical junctures in my writing career. Then learn from it so you’re not repeating the same stylistic or grammar mistakes over and over. If you do that, your writing will go to the next level. That’s what we all want—get to the next level and get your work published. **Update: Book orders for Trois autres Malaisie. E-book orders. Or recommend it to your friends, especially those who would like to know more about Malaysia or have an interest in Southeast Asia. Here's a link to the intro and excerpts, and to four reviews of Trois Autres Malaisie in eurasie.net, Malaisie.org, easyvoyage.com, and Petit Futé mag. ***Here’s an update to the French blog about Trois autres Malaisie and my meeting the French translator Jerome Bouchaud in Kuching, and my involvement in a French documentary for Arte (June 2017) on The Sensual Malaysia of Somerset Maugham. You're right. Rewriting is an important process in writing. I started rewriting my blog posts and short stories two months ago, trying to polish the kinks. There’s No Downside to Being a Finalist!